Dara and Nick used to be inseparable, but that was before – before Dara kissed Parker, before Nick lost him as her best friend, before the accident that left Dara’s beautiful face scarred. Now the two sisters, who used to be so close, aren’t speaking. In an instant, Nick lost everything and is determined to use the summer to get it all back. But Dara has other plans. When she vanishes on her birthday, Nick thinks Dara is just playing around. But another girl has vanished, too—nine-year-old Elizabeth Snow—and as Nick pursues her sister, she becomes increasingly convinced that the two disappearances may be linked. 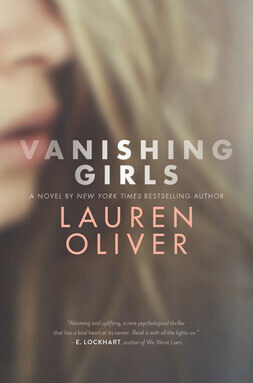 In this edgy and compelling novel, New York Times bestselling author Lauren Oliver creates a world of intrigue, loss, and suspicion as two sisters search to find themselves, and each other. "Alarming and uplifting, a rare psychological thriller that has a kind heart at its center. Read it with all the lights on." 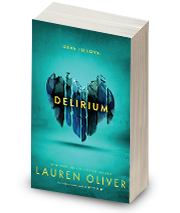 "Best-selling Oliver weaves a taut mystery interspersed with blog posts about Madeline’s disappearance, and the story is made all the more compelling by Nick and Dara’s close but troubling relationship, marked by both love and intense jealousy." 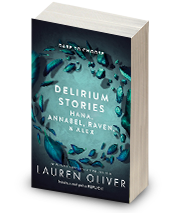 "Oliver’s characterizations and background stories are well-developed and compulsively readable. 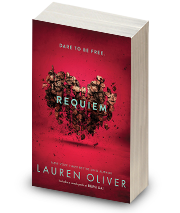 Recommend to teens looking for a well-written work with a juicy ending. They will not be disappointed."